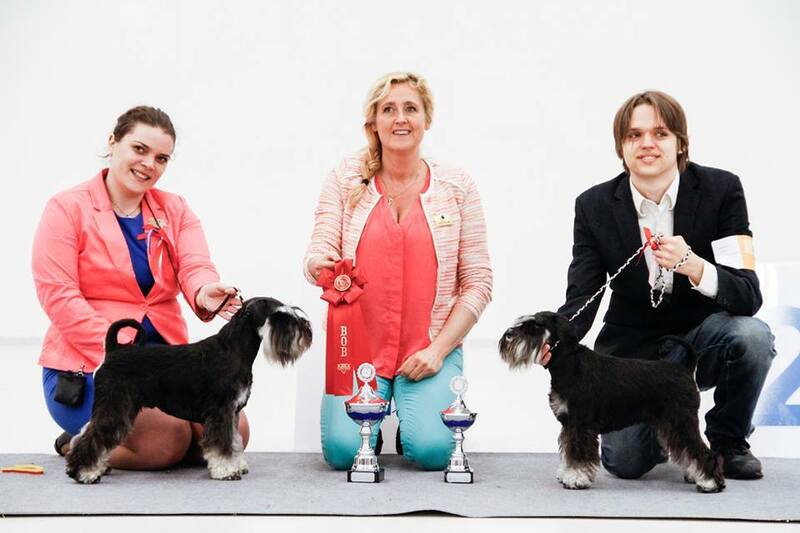 Top Winning Dog, Kennel, and Puppy of the Year. We could not be happyer with the results from the year 2014. 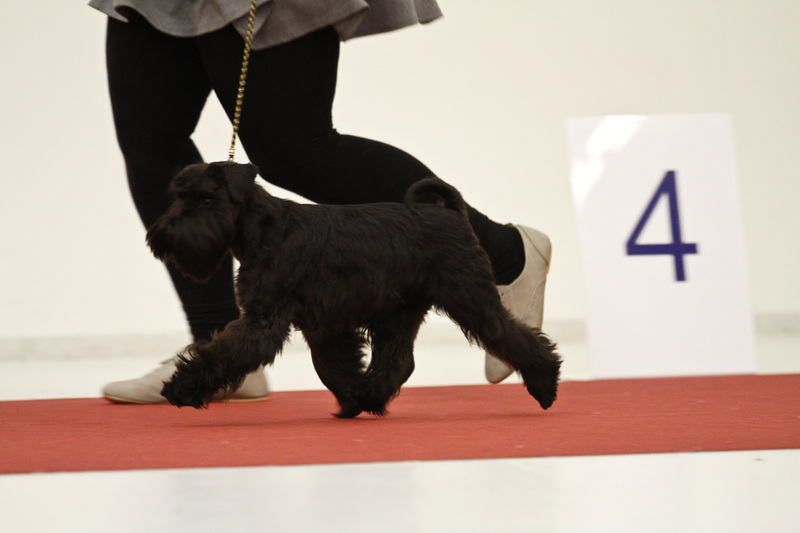 We went to the schnauzer club- Harvest, which was held in february. Me and my friend and handler Ásta María Karlsdóttir went toghether. 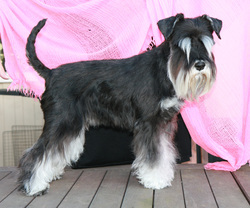 Svartwalds For Those About To Rock Top Winning Dog at our Schnauzer Club all colors and sizes. Also he and His Owner Bjarni Þór Gíslason where honored for working with the Red Cross. 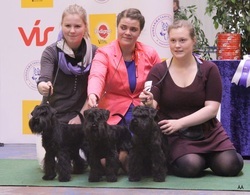 Svartwalds Top Kennel 2014 breeding Black Miniature Schnauzer. 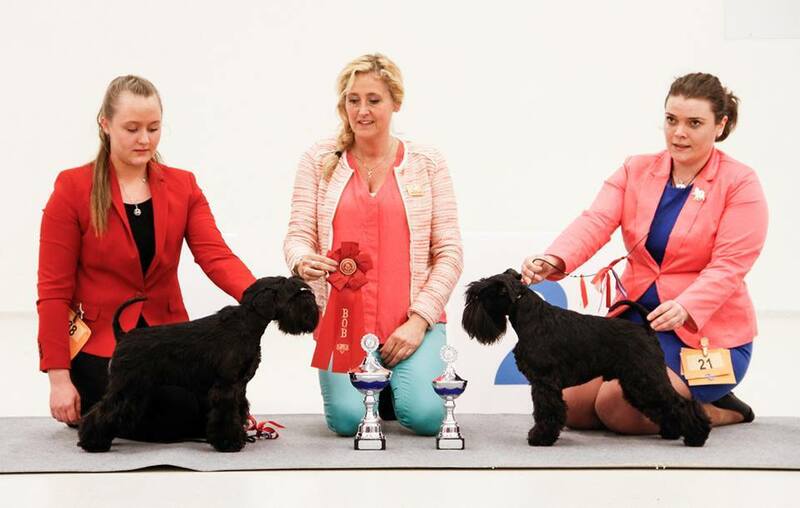 Rewarded top Puppies of the year. I wish all those who have received recognition and awards congratulations, it was a wonderful evening. 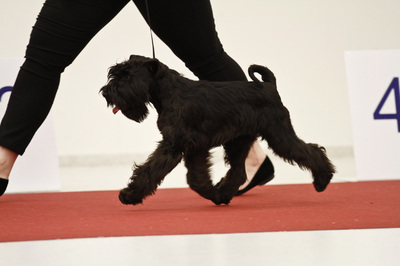 Judge: Inga Björk Gunnarsdóttir (Miniature Schnauzer. BIS Judge: Auður Sif Sigurgeirsdóttir. Svartlwalds Lucky Star- BOB-Honery price, BEST IN SHOW 4. Svartwalds Love me Tender- Honery Price, BOS. We are very happy with the results of the show. 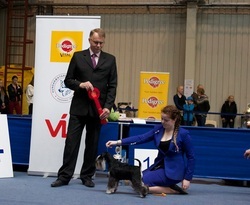 Albarossi´k Givenchy Ice-Cube – Excellent, 1 pl., CK, BM-2, CAC, R.CACIB- Now Champion of ICELAND. Svartwalds Játvarður Jónatan – Excellent, 3. Yesterday was truly a dream come true. ISCh Svartwalds For Those About To Rock entered the ring with a BANG!! He took the breed under Yolanda Nagler, Group 2 under Jo Schepers and Best in Show 1 under Paolo Dondina. 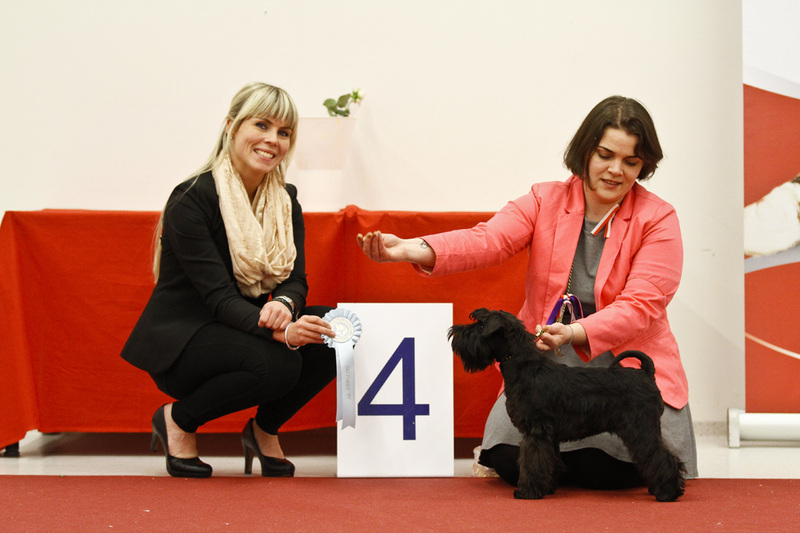 He is the first Miniature Schnauzer to take BIS-1 in Iceland. Svartwalds For Those About To Rock-BOB-CAC-CACIB-Now Champion!!! 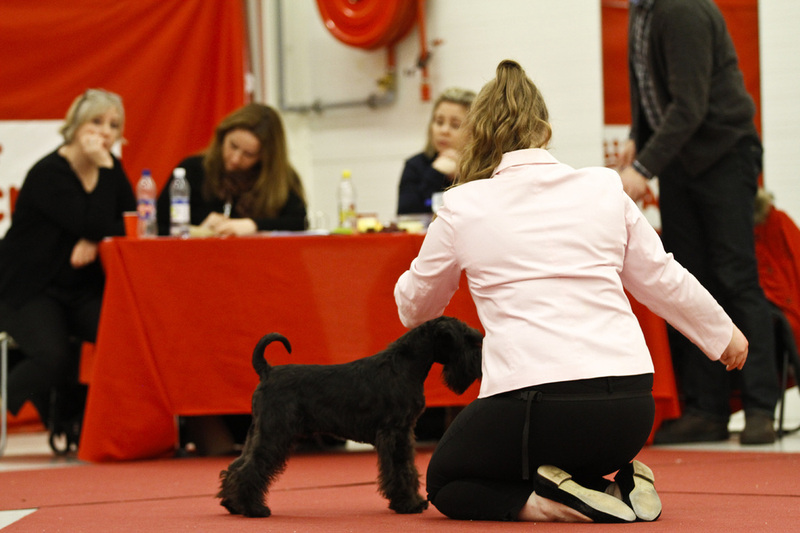 Schnauzer Club show April 26. Svartwalds Best in Show Brase- Svartwalds For those about to Rock/ Kristinka Svartwalds Wild Rane. A great group of Handlers Hilda, Hafdis and Penilla. In January we had a special Puppy show. Happy New year and thank you all for the year 2013. I'm looking forward to spend the year 2014 with you. 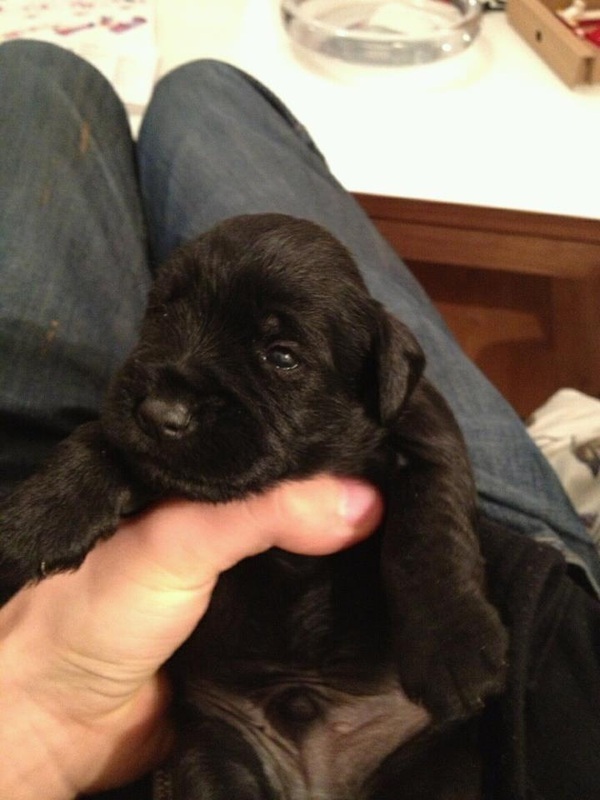 In October our beloved Berlin passed away, it was our first mini that we lost ,it was very hard but i strongly belive she is in a good place now. All of her children and grandchildren will remind us of what she gave us. This year was a great success for our Breeding, both dogs from our kennel and imported dogs did a tremendous job. 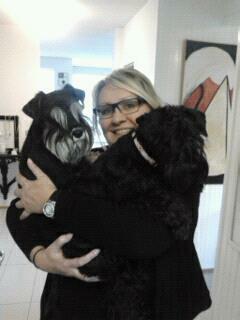 I have so many people to thank for that, both owners of our dogs, co-owners, handlers and our Ásta María Karlsdóttir . Black minis: 2 times BOB, 2 Times BOS. Pepper and Salt: BOB and BOS. 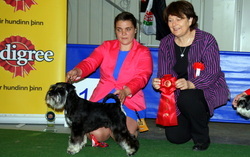 And to top it all we are the Top Kennel all colors and sizes of schnauzer for the year 2013. I'm humble and so thankful. 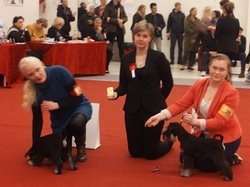 We were satisfied with the show results of our dogs. it was a great show weekend for all of our dogs.BOB Breeders Group, and Best in show-2 Breeders group (out from many nice goups). 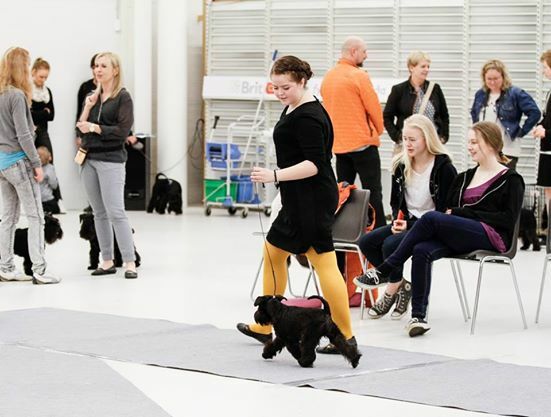 Thank you my wonderful handlers especially Ásta María Karlsdóttir who led the group. 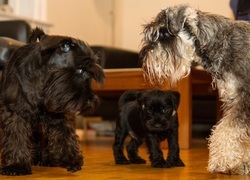 4 dogs from 3 different combinations. Exellent group, all of exellent types. very even, nice heads. Corr. toplines and well made bodies well angul. corr. coat, moving really well. Stapa Perlu Best of Svartwalds-Exellent 2.Place, BF-2 Res-Cacib. Móður og hvolpum heilsast vel. 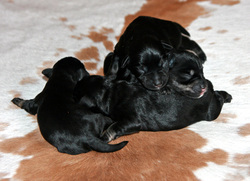 this was a great weekend for our breeding. 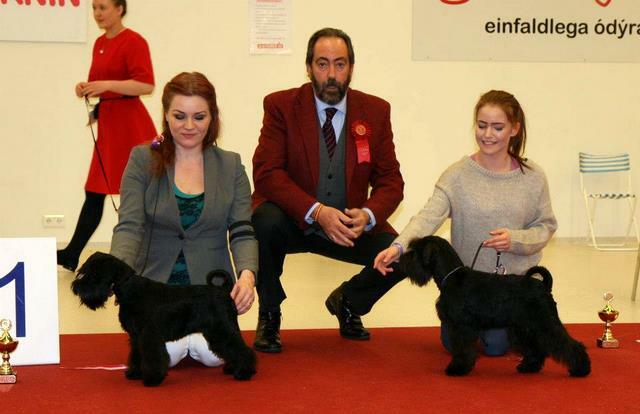 We had two breeding groups, one in Pepper and salt and the other in Black, both of them Got First price and the judge liked them very much. 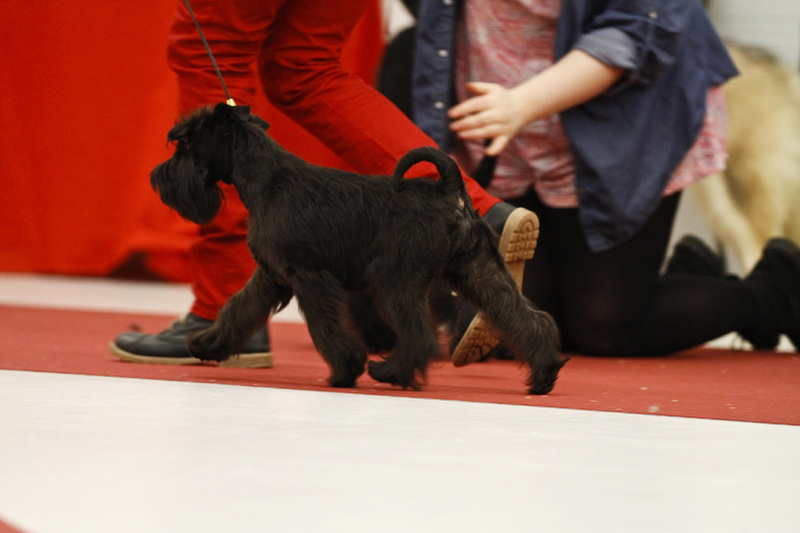 Also we had best in show Brace-2 Svartwalds Bright n Shiny future and Svartwalds Germania. Svartwalds Destined for Greatness(Junior class) Excellent,-2. 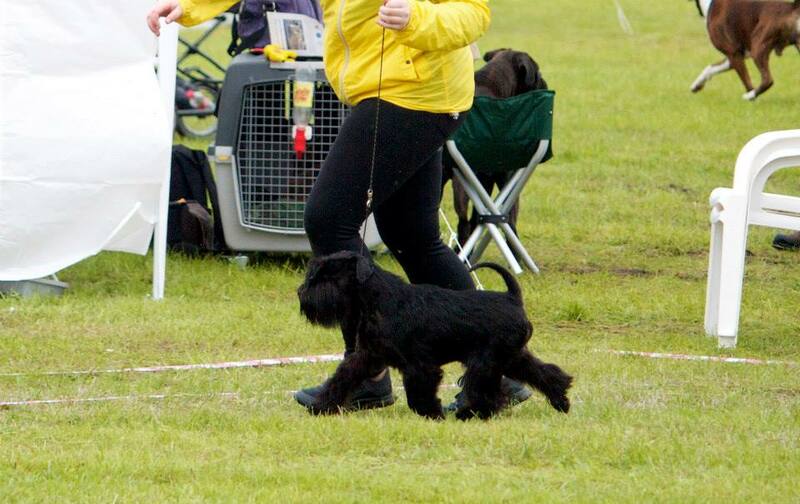 Another great weekend, our dogs did well. They all got good reviews by judge Javier Sanches from Spain. Svartwalds Bright'N Shiny Future BOB-CACIB. Champion Class. HE IS NOW C.I.B !!! The year 2012 was very good for us. 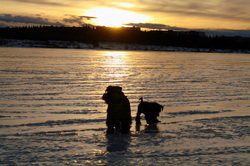 Við fórum á uppskeruhátið schnauzerdeildar sem að var haldin Laugardaginn 19 Jan.
Þar voru okkar hundar heiðraðir. Svartwalds Bright'N'shiny future(Sameign Svartwalds og Kolskeggs ræktunar) varð stigahæðsti hundur deildarinnar yfir alla liti og stærðir. Svartwalds Golden Boy varð stigahæðsti hvolpur ársins 2012 ásamt 2 öðrum. Svartwalds ræktun var stigahæðsta ræktunin í Svörtum Dverg. Ég óska öllum þeim sem að fengu viðurkenningar og verðlaun til hamingju, þetta var yndislegt kvöld. 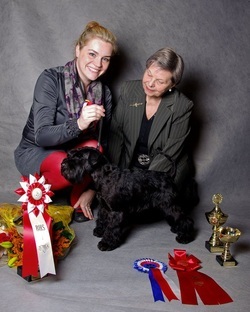 Svartwalds Bright'N'shiny Future (owner Svartwalds and Kolskeggs Kennel) was Top winning dog of all colors and sizes. 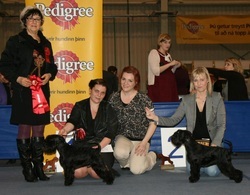 Svartwalds Golden Boy became Top winning puppy of 2012 along with 2 others. Svartwalds Kennel was honered for breeding in black dwarf. Allir hvolparnir eru nú lofaðir á yndisleg heimili. Næsta got hjá okkur verður í sumar ef að allt fer að óskum. Litlu kútarnir eru hressir og kátir, nokkrir tilvonandi eigendur þeirra hafa heimsótt þá. Allir eru í skýjunum og hlakka mikið til að fá litlu kútana sína heim. Allir dafna vel, og móðir líka. Það gengur allt eins og í sögu, allir þyngjast og nærast vel. Einn er frekastur og stærstur minnst er önnur tíkin sem að hefur samt bætt á sig 30gr á 2 dögum. Það eru 4 hvolpar fráteknir, 2 ólofaðir. Elsku Flóra okkar var svo dugleg að koma þessum flottu hvolpum í heiminn, allt er eins og það á að vera, bæði hvolpar og mamman eru heilbrigð og flott. Væntanlegt got á næstu dögum/ Litter expected in a few days. Við erum orðin ansi spennt fyrir gotinu sem að er væntanlegt hjá okkur. Pepper pabbi þessa gotst hefur gefið svo falleg afkvæmi nánast öll föðurbetrungar þrátt fyrir að hann sé talin mjög álitlegur sjálfur, það sama má segja um Mömmuna hana Flóru, seinasta got hennar er alltsaman afburðar flottir einstaklingar núna eins árs gamlir. Þau hafa öll verið sýnd og fengið meistaraefni. Nú þegar eru 4 á biðlista eftir þessu goti og við vonumst svo sannarlega til þess að allir fái félaga úr þessu goti, jafnframt einhver sýningarhund. We are so excited about our expected litter. Pepper the father of the litter has given us nice offsprings before and we are sure he will also give us fabulous puppies in this litter. 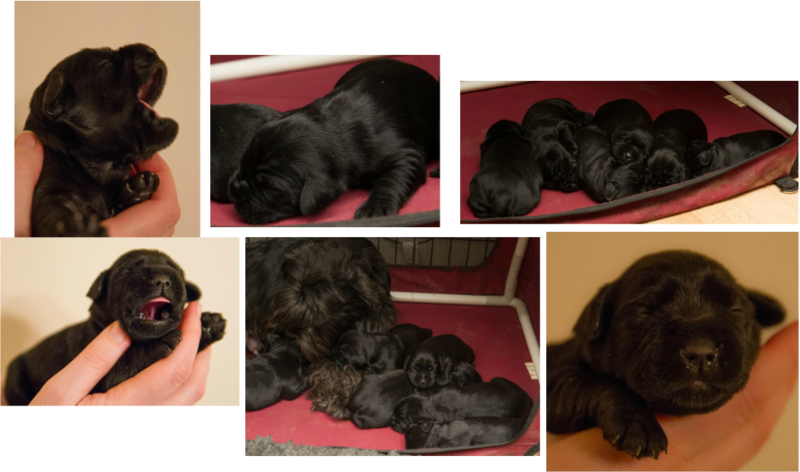 The mother "Flora" had puppies, that are one years old today and they are all very nice youngsters now, they have attended shows and been given Ck. 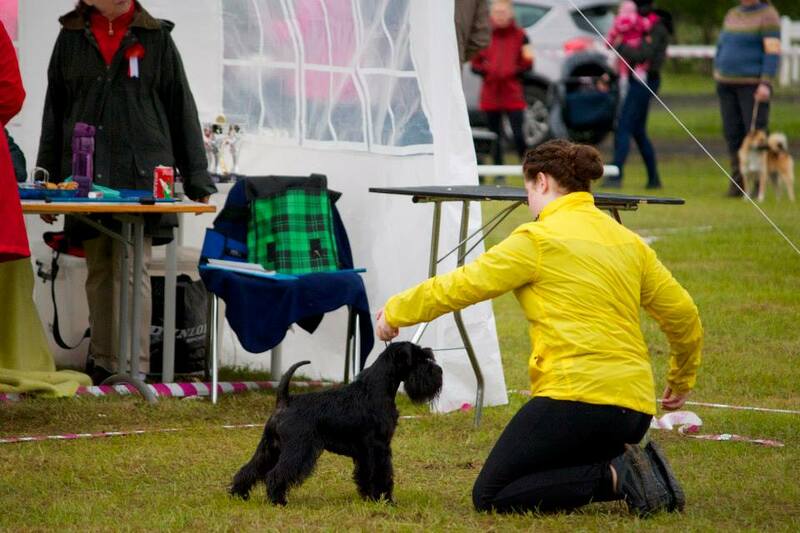 Every one is happy with her and we would like to thank Ína at Hjartagulls kennel for trusting us with her. She will be shown next November. Það var ekki á planinu að fá sér svart silfur tík, en við sjáum ekki eftir þessu gulli, við eigum hana með Láru og fjölskyldu og við erum öll mjög sátt við þessa ákvörðun og mjög spennt að sjá hvað verður. Hún er nett tík en í fínni stærð, skap hennar er með eindæmum gott og hún dillar stöðugt rófuni sinni. Allir eru hamingjusamir og Fröken líka, við viljum þakka Ínu hjá Hjartagulls ræktun fyrir að treysta okkur fyrir þessari yndislegu tík Hún verður sýnd næstkomandi Nóvember 2012.